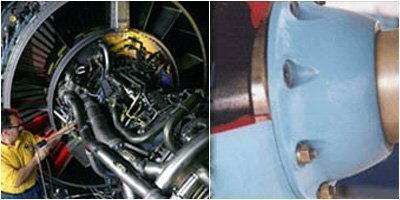 Moly Anti Seize | Extreme Pressure | Salt Water Resistant | Superior Industries, Inc.
ASC 1800 Moly Base is a high temperature thread lubricant engineered from fifty percent petrolatum and fifty percent molybdenum disulfide (MoS2). This product is a pure Molybdenum Disulfide technical grade anti-seize lubricant thread compound that has an extremely low coefficient of friction. Molybdenum Disulfide is finely ground powder that is dark grey in appearance. Molybdenum Disulfide’s atomic make up is a sandwich of molybdenum between two sulfur atoms. Molybdenum Disulfide’s hexagonal crystal platelets slide over each other and are attracted to metallic surfaces. The force of moving metal parts rubbing over each other provides the thermo chemical reaction required to form an armor like coating on these parts. It is typically know as a transition metal and is insoluble in water and un-reactive toward dilute acids. ASC 1800 Moly Base is specially engineered to meet requirements of United States Military Specification Mil-PRF-83483 (Mil-T-83483). This product is a fast drying lubricant carrier. 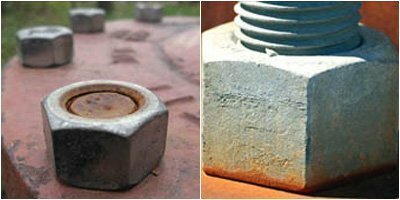 It provides excellent lubrication on all types of surfaces even under harsh conditions. 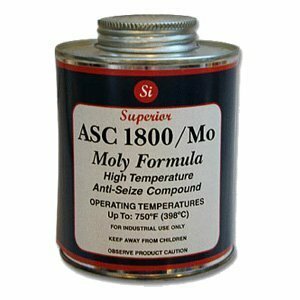 ASC 1800 Moly Base has been proven to be an outstanding lubricant for salt water environments, above and below the surface. This product has excellent conductive properties which allow use on spark plug threads exposed to moderate temperature. It prevents wear or galling on gears splines operating under high load at low speed. Moly Grade Anti-Seize will withstand pressures to 0.5 million psi and perform to 750° F (398°C). This product is also recommended where copper contamination must be avoided. 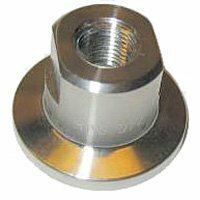 ASC 1800 Moly Base protects and in most cases eliminates seizing, galling, fretting, and rust and corrosion. It reduces wrench torque while lowering the coefficient of friction.Other applications for ASC 1800 Moly Base include but are not limited to press fittings, gears, valve stems, levers, hinges, rollers, pivots, and threads in tapping, boundary lubricating of parts in assembly and make-up, bushings of heavy loaded slow moving bearings, and much more. It permits easy dismantling of equipment after long periods of use, saving time and maintenance costs. Regular use of ASC 1800 Moly Base can significantly reduce possible damage to expensive equipment and costly downtime. If a higher temperature range anti seize is required, Superior’s ASC 1700 Graphite Base with pure graphite, is specially formulated to meet higher temperature requirements such as those in Mil-T-5544.ASC 1800 Moly Base is packed in three convenient easy to apply options. It is available in a brush top one pint can which can be purchased in two, six, twelve and twenty-four packs. ASC 1800 Moly Base can also be purchased in an eight pound (one gallon) container and a forty pound (five gallon) container for those large jobs. As with all petroleum base products, these lubricants should NOT be used in oxygen service.